Why Do Feet Swell During Pregnancy? What Can You Do? 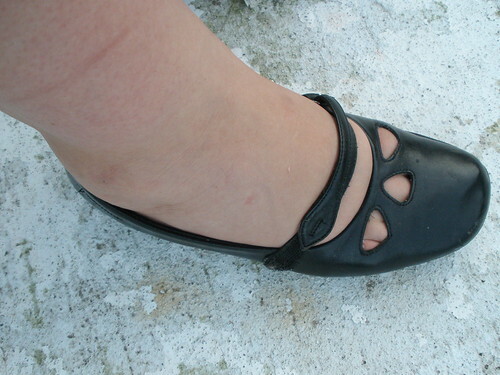 Also known as “cankles”– when you can’t tell your calves from your ankles. The swelling that you get in late pregnancy is called edema (in the old days, it was known as the dropsy, which seems more descriptive). It’s very common in pregnancy; about half of pregnant women experience it. It’s caused by pressure in your veins pushing excess fluid into the spaces between the cells of your tissues. Some things you can do to ease the pressure is to watch your salt and sodium intake, avoid carbonated and/or caffeinated beverages, keep your legs and feet up as much as possible, and try some firm-compression maternity pantyhose, which can help ease the swelling and discomfort especially if you put it on before you get out of bed in the morning. And find yourself some nice, wide, easy-to-slip-on shoes. The good news is that you’ll shed all of the excess fluid during birth and afterwards, and by your six-week checkup the swelling will be a distant memory. Will My Feet Get Even Bigger With My Third Pregnancy? Does Swelling Mean I’ll Go into Labor Soon? Pregnancy Mask: What Can You Do?